I've wanted to go on a transatlantic cruise since I saw the Parent Trap when I was in middle school. Oh, how glamorous. Never mind that I hate cruises, that I'd really much prefer to take the Concord; once I learned that they still had classes, with separate dining rooms, I was absolutely sold. I doubt very much that I'll ever actually do this (there are plenty of other ways I'd rather spend my travel money), but it's still something very much in my consciousness, as anyone following me on instagram in August can attest. 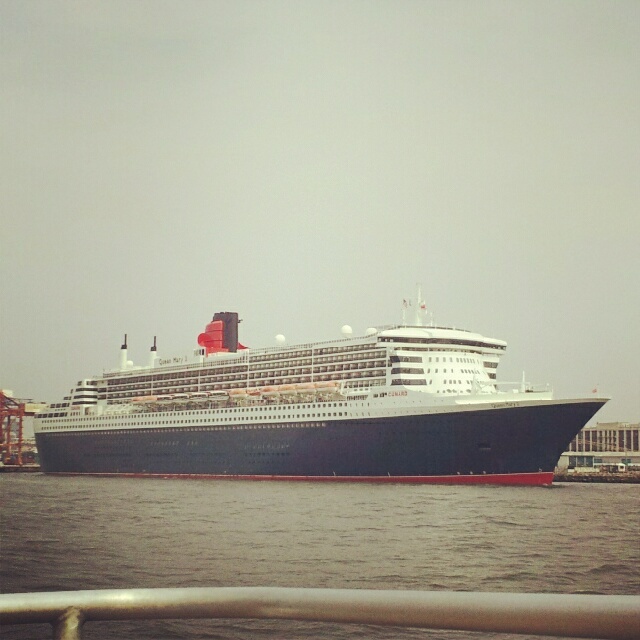 So, I was thrilled when Leah sent me this article, "Seven Days on the Queen Mary 2," from the NYT. If I can't live it, perhaps I can experience it vicariously through travel writing. I hope you enjoy the article as much as I did, and that you'll join me in tossing a champagne flute into your bathtub as a toast to the rolling north Atlantic.